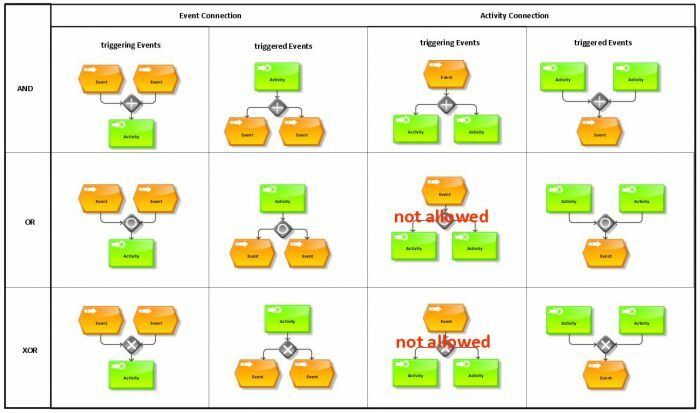 An 'Event-driven process chain' (EPC) is a modeling language you can use to describe business processes and workflows. The free modeling tool ARIS Express supports the free modeling of EPCs with its model type 'Business model'. The most common EPC constructs such as branches or loops are provided as fragments in ARIS Express, thus enabling you to have an easy start to the world of process modeling and flow charting. Event-driven process chains are used to describe the operational sequence of processes. Event-driven process chains are often used at the lowest level of the process hierarchy. 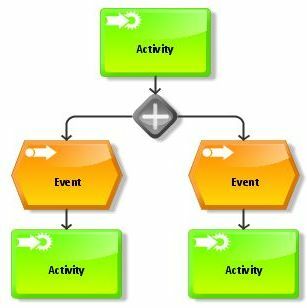 ARIS Express not only offers the possibility of representing business processes by means of the event-driven process chain, but also provides the BPMN diagram for illustrating technical workflows and flow charts. The EPC notation offers many ways for modeling processes, analyzing them, and identifying improvement potentials. Event-driven process chains are used in many industries and are supported by different tools. For example, the ERP provider SAP uses EPC diagrams to document processes of their SAP R/3 solution. EPCs were invented back in 1992 by Prof. Scheer and colleagues at the University of Saarland. Since then, they have seen an industry wide adoption. The following example shows an EPC model that is directly embedded with the interactive model viewer. You can download it and edit it for free in ARIS Express. You can also use the video tutorials provided to find an easy way into the world of ARIS. To get your free cheat sheet copy click on the picture to enlarge it and download the pdf document.